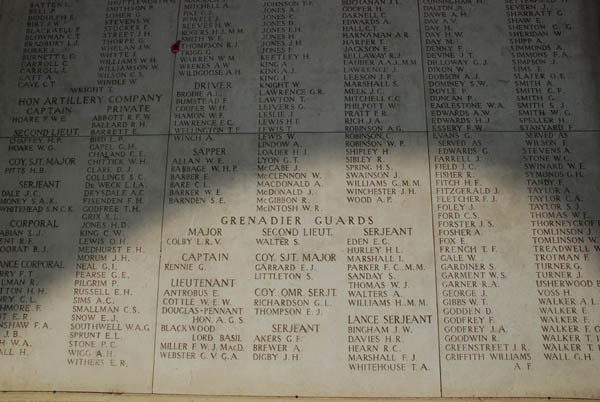 We took our guest Dennis Duffy to Ieper and to the portion of the Western Front near Ieper on May 29. 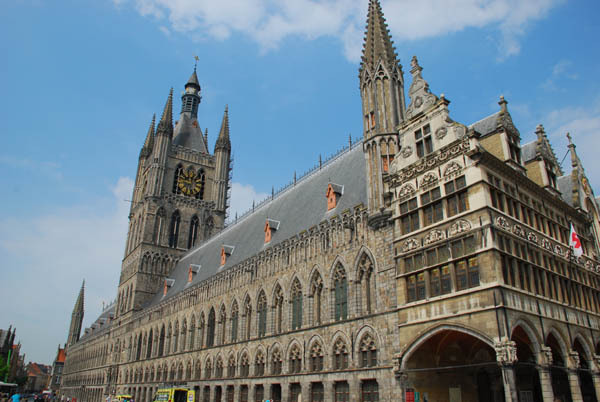 Every day is Memorial Day in Ieper, site of intense battles and barbaric destruction of life and property during the “Great War” of 1914-1918. Ieper was totally destroyed by many months of artillery fire by the Germans. There were only humps of rubble standing where once great churches and the 13th century cloth trading hall had once stood. Winston Churchill wanted to turn the entire mess into a lasting memorial to the more than 85,000 soldiers of the British Commonwealth who had perished around the city. But, the citizens of this proud city had other ideas upon returning from exile after the war. They wanted to build their city again, and they did so, in a style to match what had been there before. 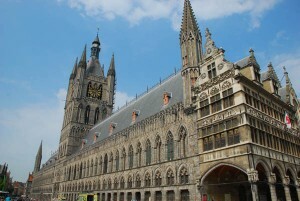 Now the gigantic cloth hall hosts a museum dedicated to the terrible history of trench warfare. We spent the day roaming the former battlefields around Ieper. At Tyne Cot British cemetery, the largest war cemetery outside of Great Britain, we marveled at aerial photographs taken before and after the most intense artillery exchange, when 4.5 million shells were fired at German and British and allied positions. The result – a moonscape devoid of any standing building, any tree, any sign that this was once an area of small villages, churches, roads and farms. To look at the scene now, with the many red brick farm houses and barns and groves of trees, it’s hard to imagine the utter devastation of 1919. 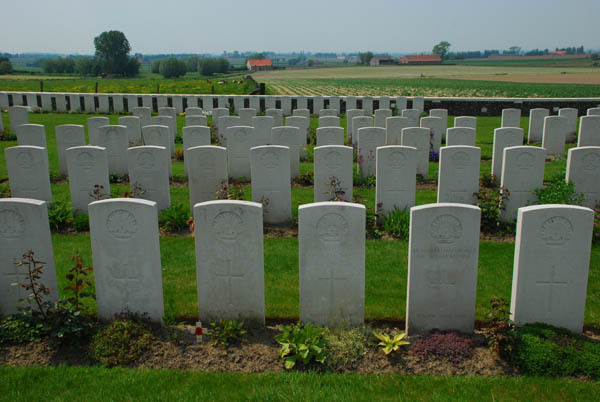 That is the year when members of the British Graves Commission went to work to find the tens of thousands of bodies on the battlefield for burial here and in the more than 100 other smaller cemeteries scattered around the area. 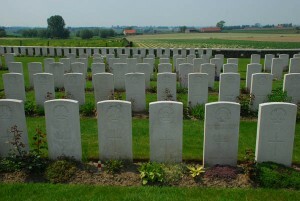 Anyone who has not learned the lesson that war is the ultimate senseless waste of life and treasure needs to walk these cemeteries and see the bomb craters, the pockmarked pillboxes of the Germans and definitely, to hear the names of the dead being called out at the Tyne Cot cemetery. Posted in Belgium Tours and tagged front, graves, ieper, one, war, western, world. I’m sure the Duffy trio don’t even want to sleep, so as to not miss another incredible sight!